The Centre for Marine and Renewable Energy in Ireland (MaREI) at NUI Galway will provide test facilities for technology developers to test their tidal turbine blades as part of ‘MaRINET2’, a €10.5 million project funded by the European Commission’s Horizon 2020 programme. The project is inviting an open call to offshore energy technology developers with applications closing on the 20 May 2017. Currently, in Europe, there is approximately 100 megawatts of tidal stream capacity and 32 megawatts of wave energy capacity when taking into account devices in the water, under construction and permitted. It is expected that between 2015 and 2020 the European ocean energy industry could spend a further €1 billion in research and development, and €3 billion to €4 billion to deploy the projected capacities. With this momentum, the industry association, Ocean Energy Europe, estimates that 100 gigawatts of wave and tidal energy capacity can be deployed in Europe by 2050, that’s almost 1000 times more capacity than is currently available. This industry target is consistent with recent studies on the practical deployment potential of ocean energy in Europe. The global market for ocean energy could see 337 gigawatts of installed capacity by 2050, a third of this would be in Europe. Today 45% of wave energy companies and 50?% of tidal energy companies are from the new EU member states, EU13. According to the Ocean Energy Strategic Roadmap ‘Building Ocean Energy for Europe’, the right support over the coming decade will enable Europe to maintain leadership in a global market, worth a potential €653 billion in investments between 2010 and 2050, and an annual market of up to €53 billion, hugely benefiting the European economy. Reducing costs and increasing performance through innovation and testing is one of the six essential priority areas identified by the European Technology and Innovation Platform for Ocean Energy (TP Ocean) to be addressed to improve ocean energy technology and decrease its risk profile. 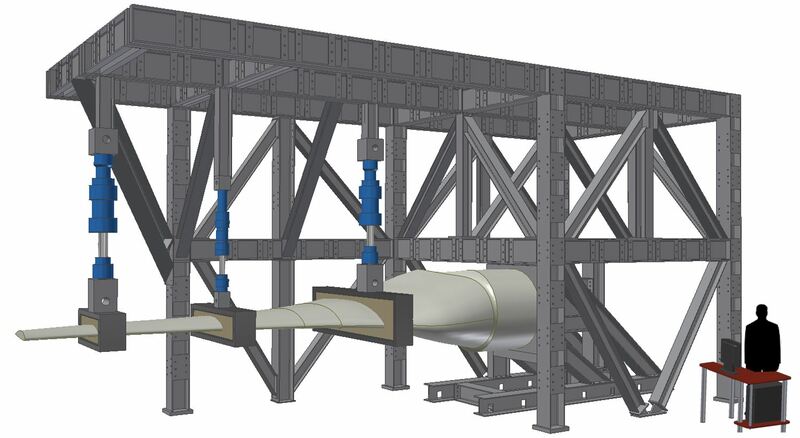 To address the need of industry and researchers, a team in the MaREI Centre based at NUI Galway has developed the capability – infrastructure, personnel and knowledge – to conduct static and fatigue testing of full scale tidal turbine blades in the large structures test cell at the University. NUI Galway, is now available to technology developers across Europe as part of the MARINET2 TNA programme. For details on eligibility criteria, how to apply, and available testing infrastructures please visit the Marinet2 website at www.marinet2.eu.